Hey guys, Hybrid FTW here with my 3rd guide on CRA. My last two guides have been on control decks, but today I’ll be talking about the famed Golem Double Prince deck, which is an almost unstoppable deck which thrives in both challenges and ladder alike. With this deck being so successful, I cannot believe how there is no guides on it already. Without further ado, let’s hop into this long guide. Golem: The Golem is the win condition of the deck. The Golem is a hefty 8 Elixir, so I recommend not using him till Double Elixir even if you have an Elixir advantage. One mistake I see people usually do is to put the Golem right at the bridge. Never do this, or you will not be able to support the Golem enough. Prince: Both the Princes in this meta are just so strong! In the early stages of the game, the Prince is really great on defense taking out glass cannons with his special charge. In Double Elixir, he can also convert straight to offense behind your Golem decimating the Tower is uncontested for. One little trick I found out is that the Prince can also push the Golem to your opponent's Princess Tower if placed directly behind the Golem. Dark Prince: The DP buffs have finally caught up to him, making him so OP right now. The Dark Prince is also used on defense and offence alike. DP has a nifty shield, making him a great option versus P.E.K.K.A, Sparkies, and more. The splash does a great job at clearing swarms trying to counter your Golem. Same with the regular Prince, he can also push the Golem. Mega Minion: One of your two air defense cards. The Mega Minion deals an insane amount of DPS, so use him to take out air threats like Balloon, Lava Hounds and Inferno Dragons. You can also play Mega Minion to take out glass cannons for a positive Elixir trade. The Zap is good in all decks, but it’s a must in beatdown decks for resetting Sparkies and Inferno dragons/Towers. The Zap also synergizes very well with Tornado, killing Minions if you don’t have your Baby Dragon in cycle. Baby Dragon: The second air defense unit of the deck. The baby is used to take out ground/air swarm cards for positive Elixir trades/counterpush potential. Versus air based decks, you’ll need to save your Baby Dragon for those pushes. The Tornado is great for a multitude of different things in this deck. One of my favorite moves is to Tornado all the opponents units toward the Golem death damage and then have the BabyDd splash them all to death while also hitting the Tower. The Tornado is also the best counter to Hog making it great in ladder matches where Hog is just so prevalent. 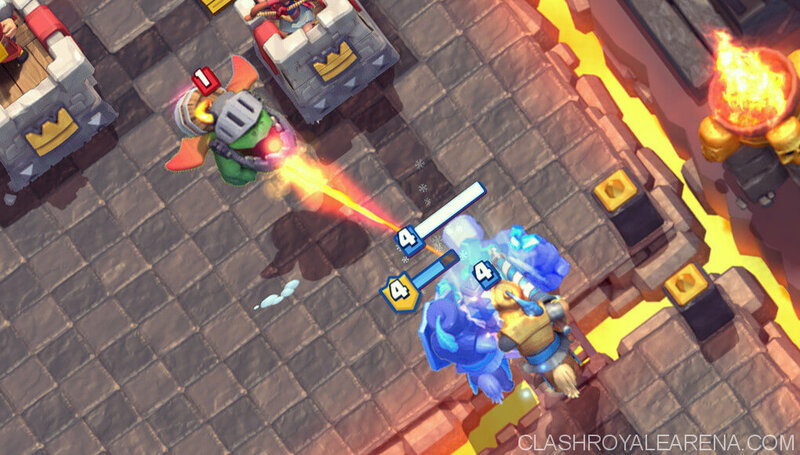 Not only all of this, but the Tornado can help you activate your King's Tower so that it will be a lot easier to defend pushes. Elixir Collector: The Elixir Collector is the best starting play that you could possibly have in this deck. The Pump is used to get an Elixir advantage over your opponent, preparing you for the massive 20 Elixir push you’ll inflict in Double Elixir. If your opponent plays their heavy spell/Miner for whatever reason, Pump up shortly afterward. Only play the Collector when your at 10, so that you have enough Elixir to defend a sneak punish. In this stage of the match, you want to place down as many Collectors (In the middle placement for rockets can’t damage your Tower and its easier to predict those pesky miners.) as you can and defend. It is okay to take some damage early on, for you will be converting that damage into an Elixir lead which leads to taking down your enemies towers. As with all decks, try to figure out which type of deck your opponent is playing by identifying cards played. Also try to identify what their best counter to Golem is, so you know how to counter it when you are ready to launch your Golem push. By this point in the game, you should know what deck your opponent is playing and your best bet on countering it. Continue to get pumps on the playing field and just keep defending. I recommend not going into a Golem push because you won’t have the Elixir for all your support units and It will be much easier for you opponent to defend. It’s also ok to be down damage wise, maybe even a Tower, if you have an Elixir lead, for you will be able to crush their Tower shortly. By now, you want to start launching your Golem pushes. Hopefully you have identified your opponents best counter to your Golem is so you can work around it. You will only have 2-3 chances to get to your opponent's towers because it takes a full 30 seconds for a Golem to travel from the back of your king Tower to your opponents Princess Tower if not being pushed by a Prince. Just endlessly spam all your support units behind your Golem, unless you know that they have Rocket in their deck. One major flaw I see other Golem users do is not support the Golemites. Each golemite has about the HP of an Ice Golem, so its a complete waste to not support them. This one isn’t too hard. Keep up with their pumps, for you’ll be screwed if they get an Elixir advantage on you. They have the Miner, so be ready with your Dark Prince. When they start pushing, Tornado the Muskies to one side and splash them with the Golem+Baby Dragon. This one is the easiest matchup for any Golem player. Pump up in the earlier and middle stages of the game like you would for any other deck. They’ll either Fireball your Pump, or attempt to punish you with the X-Bow. If they punish you, make sure you don’t overcommit on defense, for you will be able to crush them in 2x Elixir. Try to focus on the Elixir advantage, by pumping up early game and trading damage for Elixir, for this is the only way you can possibly win. In Double Elixir, drop your Golem behind the king and wait. Support the Golem with Dark Prince and Prince. Double lane pressure with both the princes on the other side. 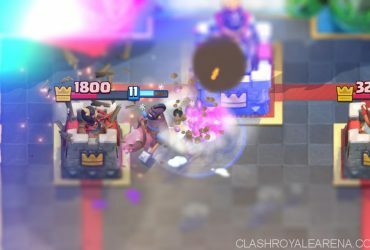 It will be much harder to defend the P.E.K.K.A when dual lane pressuring, but you can pull it off if you have enough of an Elixir advantage. 2.9 Prince Bait: This one is actually very easy. The 2 major flaws for them is that they don’t have a counter to the Pump, and they don’t have a high DPS unit to take out your Golem. Don’t use your spells on the Princess or the Gang, save them strictly for the Barrel. Use your Elixir Collector as often as you can, for they have no response for it and it will be a free 2 Elixir each time. 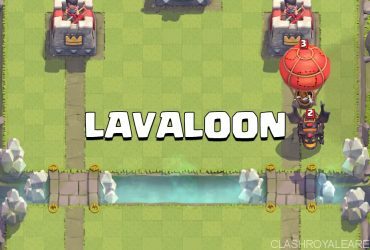 Rather than zapping their barrels, Tornado them away from your Princess Tower so that you won’t take any damage whatsoever. Lava Balloon: This matchup comes down to who plays their deck better. You have Baby Dragon for the Lava Hound and Mega Minion for the Balloon. Never play both your defenses on the Lava Hound unless the Balloon is already behind it, for they might attack your other Princess Tower and you’ll be screwed. Another very important tip is too always support your Golem with the Baby Dragon, for they will most likely try to defend with a bunch of squishy troops like Minion Horde, Tombstone, Guards, etc. Miner Poison: This one is not too hard. When pumping up, always have Dark Prince ready to predict the Miner. One advantage this deck has over Miner Poison is that you don’t have any troops that die to Poison, so they’ll never be getting value with poisons. It’s fine to take some minor (pun not intended) chip damage early on, as long as you’re not over committing on defense. Bridge Spam: Hard matchup, not gonna lie. The only way you can possibly beat this deck is if you defend against there punish to your pumps. Always wait till your in Double Elixir to start your Golem push. Almost all spam decks have Inferno Dragon, so be ready will your Mega Minion and Zap. Well, that's going to be it for me today. This deck is super fun, easy, and very successful and I highly recommend you give it a try.